Hanoi (VNA) – A ceremony to present scholarships to 110 ethnic minority students and children of poor fishing families took place in the south central province of Binh Dinh on March 28. The event was co-hosted by the provincial Ho Chi Minh Communist Youth Union, the Department of Education and Training, the Vu A Dinh scholarship fund, and the “For Beloved Hoang Sa – Truong Sa” club. 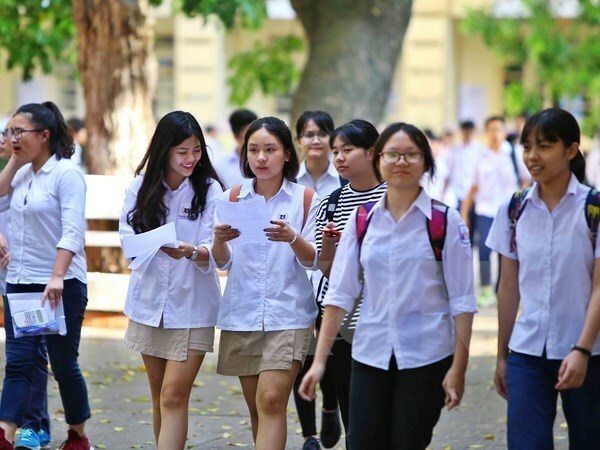 Accordingly, the Vu A Dinh fund granted 50 scholarships worth 50 million VND (2,100 USD), while the club presented 60 scholarships, each worth 1 million VND to outstanding students. Deputy Director of the provincial Department of Education and Training Le Thi Dien said the scholarships will motivate students to perform better in their studies and help to stabilise their families’ lives. Earlier, at Ly Tu Trong secondary school in the northern province of Quang Ninh, the Vu A Dinh fund in collaboration with VinaCapital Foundation and Nam A Bank granted 50 scholarships, each worth 1 million VND, to local poor students.